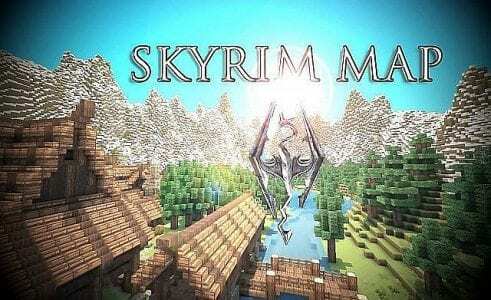 This is another Minecraft Skyrim map but this one is of a better quality and based on a lot of original scenery from Skyrim. When I first spawn in the map I seem to be at a place that similar to Winterhold college. I tested playing this map on minecraft version 1.1.0 and it works well. The buildings follows exactly as how it looks in Skyrim and the terrains are well sculpt like original scenery of Skyrim. EndermansEnd, made this world using WorldPainter and it’s 3000 x 3000 blocks big. However aside from the villages, the world outside is just a vast sea. 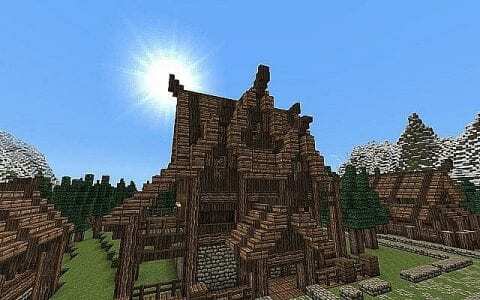 According to EndermansEnd, Skyrim world is best playable with JohnSmith texture pack. There are no videos made for this map since it’s just a world map. There is no quest or storyline to follow and you may make your use this map as based for your quest/story line or PVP world. Extract the .zip or .rar file.